G-CAS! Sew Excited! : Quick Fix! Went out Saturday night with my sister in law and had a great time! Earlier that day I was pondering what to wear, as usual, so I decided to finish a dress (quickly) that I originally made for mother's day. Anywooo, it's chilly here at night now so I needed a jacket. I think it may have been 60ish degrees. 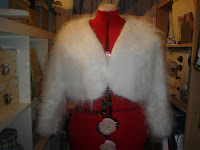 I figured I'd make a little fleece jacket with a ruffle detail but while in Joann Fabrics I walked by some furry stuff they called "Grizzly". I had to have it! 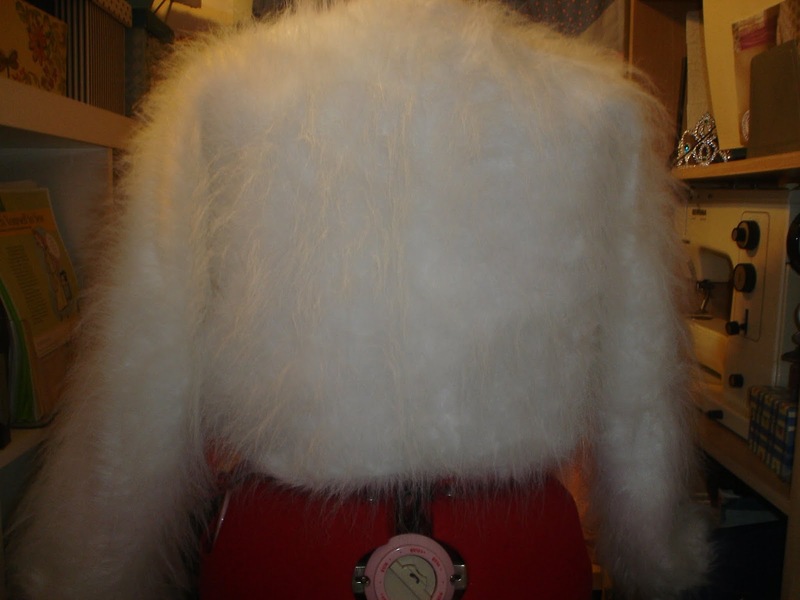 SIDE NOTE: Since working with faux fur is very very messy I decided that this project needed to be super simple and fast. (I came to this conclusion when I took it to the cutting counter.) 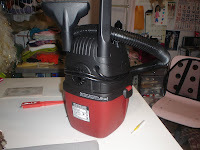 Upon arriving home I forgot my husband (the gadget buyer) had recently purchased a mini shop vac!!! The clean up was 10 minutes. I even got the fur off of me! If you like to sew faux fur go and get this thing! I love it! This jacket from cut to finish took 1.5 hours. (Not including clean up.) 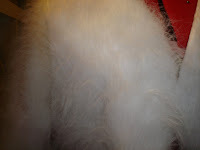 It is very fast and easy to sew. I like this particular jacket because it has a center back seam. I used the center back seam on the lining only. For the jacket I eliminated the seam allowance and cut the back piece on the fold.﻿ Also, it has instructions to finish sleeves at the wrist. 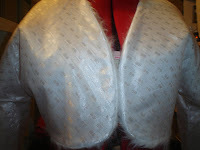 All inside seams are finished as well and the closure is at the bottom back. I included pictures of the fabric, the jacket turned lining side out and front/back views so you could see all the details. Great for all levels of sewing and a great project for that needed "quick fix!" This is a pattern I use a lot for myself and clients too. I recently got it out as I made this for a customer about a two months ago and hers was so nice I kept this pattern as a "mental note" in my head. LOL! I love it it was perfect! Grizzly is like the Bear!!! My dress I had on is pictured below but I made it so long ago I don't remember any struggles. 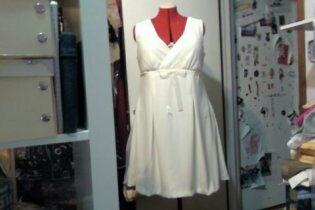 I did put a chiffon overlay on the bodice and I remember that being time consuming but no issues with this dress. It is now out of print but still available for purchase on Butterick's website. i like the get up. very cute. The bolero is super cute. 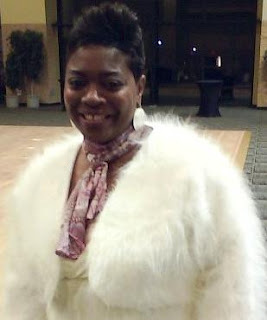 You know faux fur is very in now and perfect for these cool autumn days. You look great. Have a wonderful weekend! I'm Thinking Royal Blue Wool Coat! This Outfit Was A Killer!